This is the original first post that started this blog off on the Blogger Platform in January 2011. A lot of water has flowed under the bridge since then, much waffling has been done and fun was had. I toyed with blogs before, and frankly I didn’t get it! But, many years later, and many pages of html under my belt at my website, I think the time has come to try again. Bear with me though. I have lots on my mind, but am kinda addled brained when it comes to remembering things. 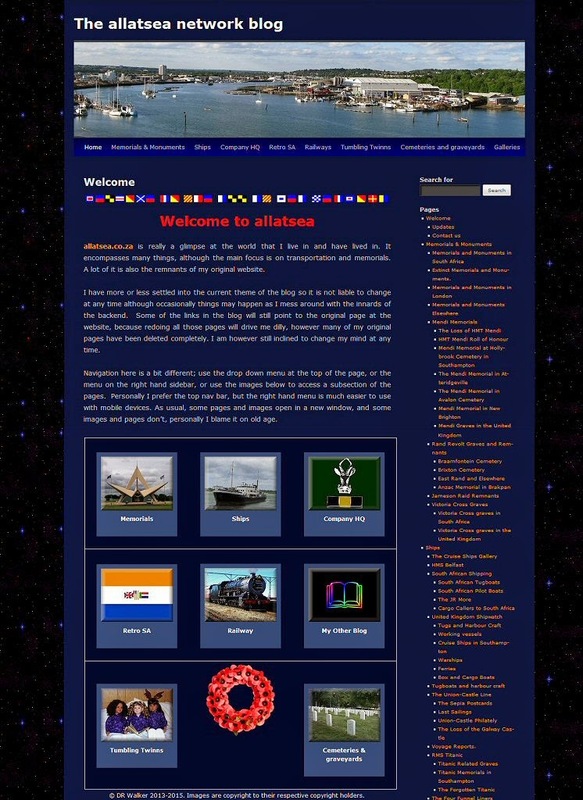 My primary “work” has always been allatsea.co.za with its many subsections. I started that in 1997 when I was retrenched and couldn’t sleep. Since then there have been many iterations of it, and now it is in a blog format. I really wanted to combine this blog and that one, but there are too many incompatibilities between the WordPress and blogger platforms, I also seem to be able to work better with the two blogs being separate entities. The current project on this blog (musings while allatsea), apart from its usual stuff, is to duplicate the images that are currently living on Picasa, because if Blogger changes the internal links to the images all of them will return an “image not found” error. It is a slow process as I am really backdating 4000+ images. Unfortunately as a result of this, the theoretical first post in this blog is now stuck somewhere in the middle. Maybe one day I will be able to say: “It is done!” or maybe not.